A special celebration at Elstree Studios, Sunday january 21st 2018, In aid of Ty Gobaith Children's Hospice. Organised by The Unmutual Website and Quoit Media Limited. Photographs by Rick Davy, Nick Joy, Keith Rodgerson, Alys Hayes. 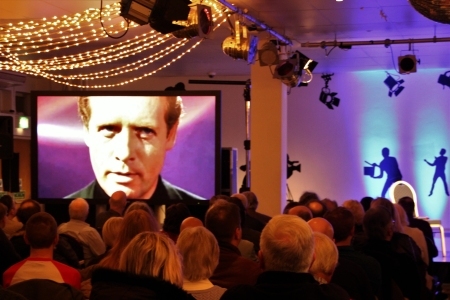 Hot on the heels of ‘Fall In’ at Portmeirion in September, it was my pleasure to be involved in organising a very special evening at Elstree Studios to celebrate the 50th anniversary of ‘The Prisoner’ series. ‘Fifty Years of The Prisoner’ was an ambitious undertaking. 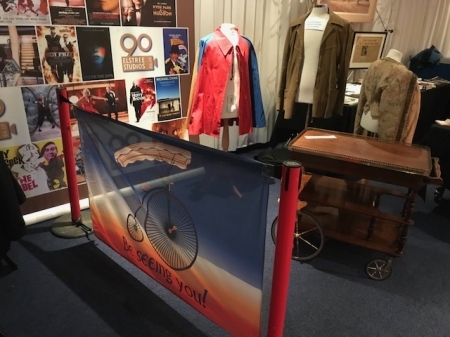 With only 5 weeks to advertise, prepare, organise, and hold the event, almost all the surviving cast and crew from the series were invited, along with folk who had been touched by the series and contributed greatly to the intervening 50 years of appreciation. 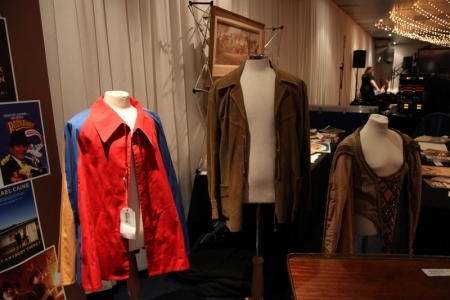 In the end an unrivalled line-up of guests, and the largest attendance at any event for ‘The Prisoner’ since 1998, greeted us as 7.00pm arrived on Sunday January 21st. The day’s events had actually started at 2.00pm, as Dave Lally, despite the dreadful weather, guided attendees round the ‘Prisoner’ and other TV and film sites which Borehamwood has to offer. Elstree Studios itself is of course not known for ‘The Prisoner’, which was filmed across the road at the now-demolished MGM studios, but has a rich ITC and Cult TV heritage, with shows such as ‘Department S’ and ‘The Champions’, among many others, filmed there, while today sees the likes of ‘Big Brother’ and ‘Strictly Come Dancing’ filmed there. Ironic that 50 years after ‘The Prisoner’ warned us about the dangers of constant and covert surveillance that we should hold the 50th anniversary celebrations 50 yards away from the ‘Big Brother’ house! 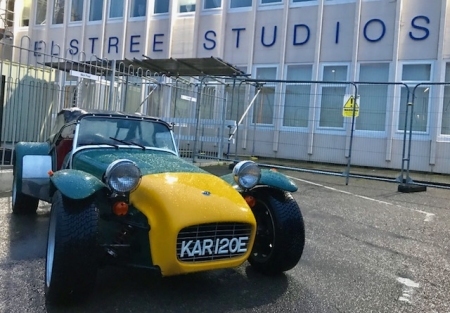 Greeting everyone outside of the World-famous studio frontage was a Caterham 7, limited Prisoner edition, which bore the number plate KAR 120E, with thanks to Neil Jones. Peter had been invited to the event, sadly we now know the reasons why his manager politely declined the request, and wished us well. First up after that audio visual treat was chairman of Elstree Studios Morris Bright MBE, who introduced everyone to the studios with a very amusing introduction (“we have had ‘Dam Busters’ filmed here, and now ‘Big Brother’. So we’ve gone from the Dam Busters, to Dem Bastards!”), before myself and my co-host Dave Jones (a familiar face to those in ‘Prisoner’ fandom having been the on-stage interviewer for Portmeirion conventions in the 80s and 90s, and thereafter MC for The Unmutual’s ‘PM’ events). 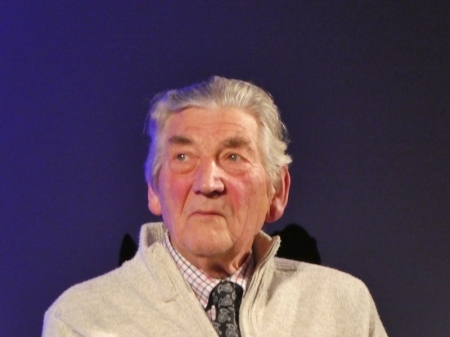 The guests (including some late additions, too late even for the souvenir programme booklet, free to all ticket holders, to have included the names) were introduced to warm applause, plus those representing family (such as Elaine Spooner, daughter of Dennis, and Robert Hickey, daughter of Mickey) and apologies were given for those who could not attend. Yes, Fenella Fielding herself had recorded a special greeting for everyone, despite being poorly with a bad back, which meant she was unable to attend in person. As with all events from The Unmutual Website, copyright clearance had been obtained in writing from the copyright holders for the event to screen items from ITV’s and other archives, so the evening kicked off with a moving and fantastic montage of ‘best bits’ from ‘The Prisoner’, thanks to David Mackenzie, made all the more poignant by the inclusion of Peter Wyngarde, who had passed away just a few days before. Another attraction which greeted people as they arrived, along with no less than three different merchandise stalls, was a display of original costumes, props, and merchandise related to the series, thanks to Steven Ricks, Dave Jones, Matt Courtman, Dave Lally, Alan Hayes, and myself. 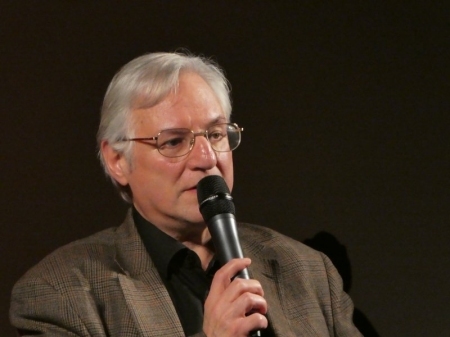 First up on stage was Ian Rakoff, assistant editor on three episodes and devisor of ‘Living in Harmony’, and John S Smith, who was Ian’s supervising editor on the episodes. 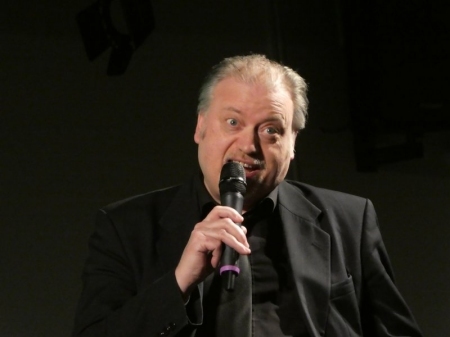 John regaled the audience with the tale of how he ‘saved’ the episode ‘Dance of the Dead’ from the cutting room floor, and how he was asked to assemble ‘It’s Your Funeral’ from library footage. 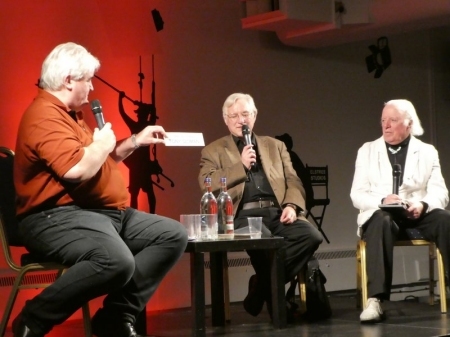 It was a fascinating discussion, chaired by Dave Jones, in which Ian recalled his initial ‘job interview’ with Patrick McGoohan, and subsequent work with directors like Lindsay Anderson. 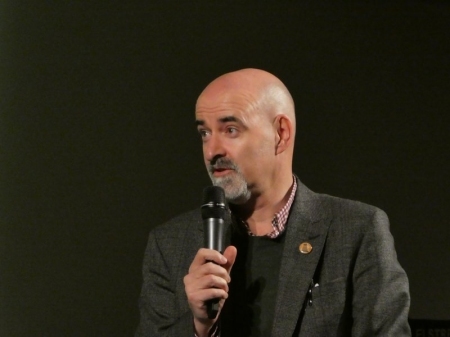 Next up on stage was Chris Rodley, director of Network’s 2017 documentary ‘In My Mind’, in which Chris recounts his 1983 meeting with Patrick McGoohan for his ‘Six Into One’ documentary. 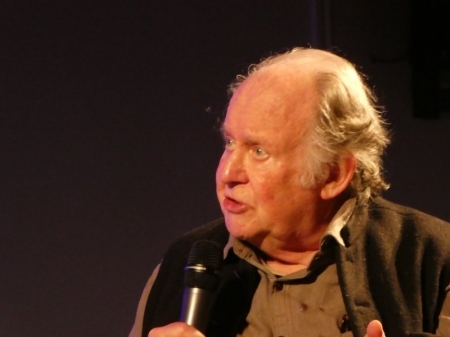 Accompanied with clips from the film, courtesy of Network, Chris’s discussion with myself was fascinating as he chatted about Patrick, Catherine, Portmeirion, and the wonderful 8mm footage, shot by Keith Rodgerson whilst on holiday at Portmeirion in September 1966… and then came another event surprise. Keith himself, over 51 years later, joined Chris on stage, clutching the same camera on which he recorded the footage. 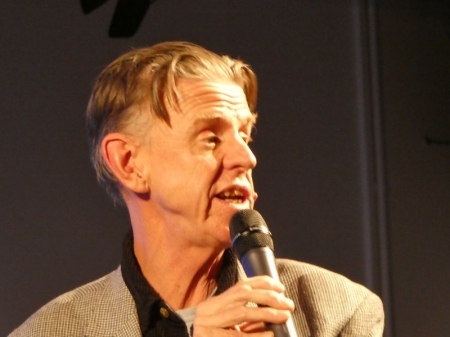 “I thought they were filming a new episode of ‘Danger Man’” recalled Keith. As with all the guests, the discussion could have lasted much longer, but time was pressing (the venue could only be secured for a period of 5 hours, which included set-up time). As Chris and Keith left the stage, eerie music played out of the huge speakers (provided by P-F Productions, who free of charge provided all the sound and lighting for the event), followed by footsteps. Brian Gorman then gave a brief performance from his ‘Everyman’ audio CD before spending a couple of minutes taking brief questions about the origins of the project, and his new project, ‘One Man Bond’. After an interval, in which everyone got books signed by Alex and other guests, made use of the bar, and wowed at the costume/prop display, it was then time for more special guests. 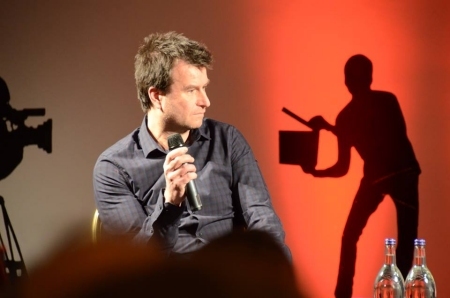 A 5-minute promotional film from Big Finish was then shown, complete with interviews with ‘The Prisoner’ audio reimagining gang of Nick Briggs, Mark Elstob, and Helen Goldwyn, before Nick himself joined me on stage for a highly entertaining interview, and gave the breaking news that series THREE will be happening later this year. Next up was Paul Welsh MBE, rightly regarded as the saviour of Elstree Studios was next, telling us all about how he saved the studios. Some heartbreaking footage of MGM in the early 1970s, just prior to its destruction, was then shown. There were gasps from the audience as open film reels were shown laid bare. Paul described the scene, which he visited at the time, as ‘like the Mary Celeste’, and this came across on screen, as scenes of a derelict Harmony and Village Exhibition Hall were displayed. 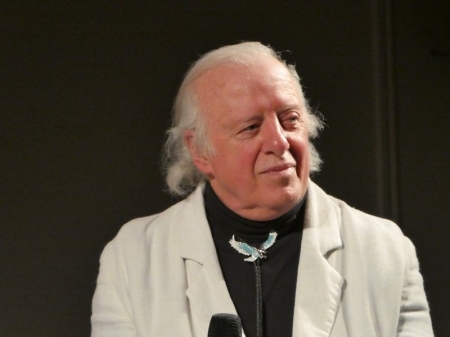 Last up, was ‘Prisoner’ film librarian Tony Sloman, and veteran movie director John Hough, who directed Patrick McGoohan in the film ‘Brass Target’. 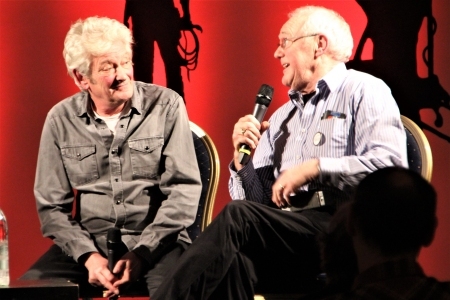 John recalled to Dave Jones that McGoohan was great, and easy, to work with, and also told a very amusing tale about working with Bette Davis on the Disney film ‘Watcher in the Woods’ which I can’t repeat here. 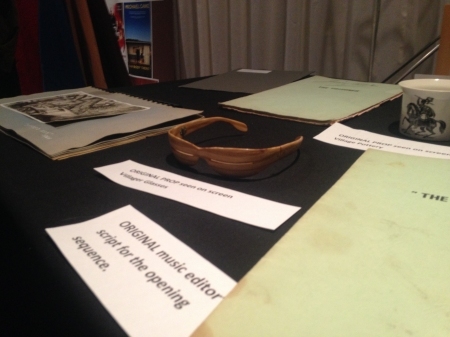 Tony had with him some fantastic artefacts, including original call sheets, his original MGM door sign, and the original cards shown on screen during the Aversion Therapy sequences for ‘A Change of Mind’, depicting words such as ‘Unmutual’ and ‘Rebel’. Chipping in with comments was another surprise special guest. Terry Ackland-Snow was Jack Shampan’s assistant on ‘Danger Man’ and had a couple of tales to tell, one being that Shampan could often be seen wandering around the studios making notes and picking things up to use on sets and set designs. As with all the discussions, the 25 minutes went by far too quickly, and on that note the evening drew to a close. 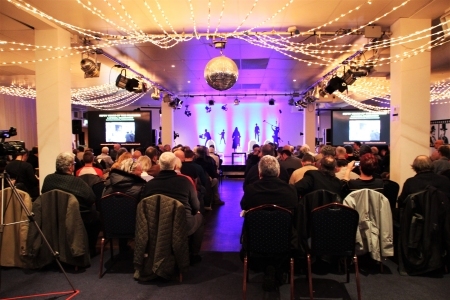 It was a pleasure for The Unmutual to join up with Quoit Media Limited and Elstree Studios to arrange the evening and the feedback I have received has been nothing but positive, and that the £20 ticket price was more than a bargain. More events are planned for the future – watch this space! A professional three-HD-camera-strong film crew were commissioned to film the event, so a DVD will be available for purchase later in the year. With the money from sales of the DVD, of course, still to come in, the total for the charity is yet to be fully realised, but I am proud to say that a cheque for £410 has already been dispatched to Ty Gobaith Hospice. If you would like to tell TUW what you thought of the event, please email TUW and have your comments included here! "Just a note to say how proud you must be today, after last evening's superb event organised at Elstree. For myself, I was very pleased to be allowed to be your closing act (with Johnny Hough in tandem), following an absolutely marvellous line-up: you couldn't have asked for better. 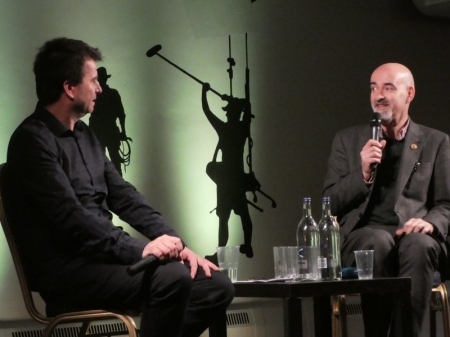 Both you and Dave were terrific compères and interviewers, and the audience questions were great, as well as was the overall atmosphere: Patrick McG. must've been there in spirit -- he certainly would have approved. Well done. Thank you so much for inviting me. Next???" "You both and the guests were great, it was all excellent ." "We all had a lovely time and were well looked after, thank you." "It was a fantastic evening. I had a really great time and met lots of really nice people. I think you did a truly fantastic job pulling so many elements and contributors together. AND no technical hitches (that I noticed, anyway) which - at nearly every event I've ever attended about all kinds of things - seem endemic to the process. I thought you'd done a brilliant job of choosing extracts from the film - plus I loved the opening montage to the whole event. A fantastic, rhythmic "previously on The Prisoner" type thing. Nice!" "We all had a great time, thanks!" "Well done to you and Dave, you well and truly smashed it!" 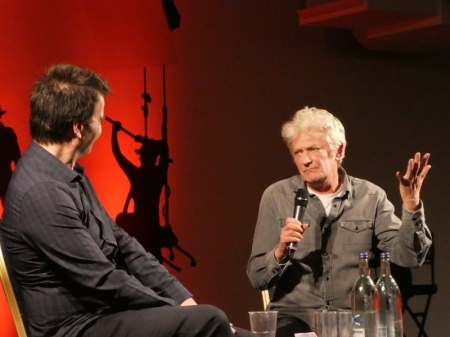 "What a fantastic evening yesterday at Elstree studios celebrating the 50th anniversary of The Prisoner. The opening montage of clips from the series accompanied by the opening soundtrack brilliantly put together and very moving especially with the recent passing of Mr Peter Wyngarde. 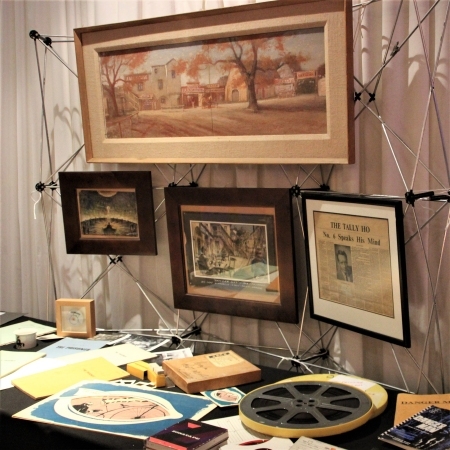 The guests were intriguing along with some lovely props and memorabilia from the show. A big thank you to Rick and the team for such a warm welcome and memorable night." 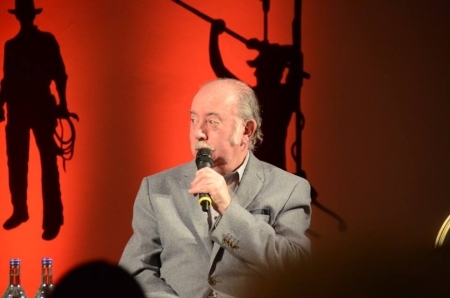 "Very enjoyable evening - you and Dave (Jones) did a good job interviewing the great guests." "Just like to say thank you for last night's presentation. It was a very enjoyable evening." 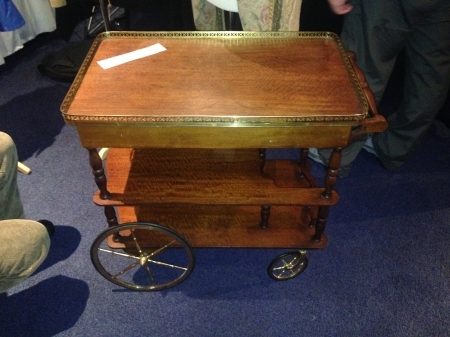 "Just wanted to convey my congratulations in respect to Sunday's event at Elstree Studios. I thoroughly enjoyed it. So much packed into so few hours. I heard nothing but praise. I certainly hope there'll be another event later this year." "Many congratulations on a wonderful 50th anniversary event celebrating The Prisoner. This was indeed a memorable evening with many excellent guests and I wouldn't have missed it for the world. Those who did not attend missed an absolute treat of an evening reminiscing on our favourite TV show." "Great work yesterday. Top event. You and Jonesey have officially not lost the magic. Thanks so much. Still buzzing. :)"
"Just wanted to congratulate you on a fab day yesterday... it was really good to listen to the stories and catch up with some old friends." "Wonderful event, great guests and a few surprises. A splendid way to celebrate 50 years of a groundbreaking series. Well done to all involved." "An excellent evening - nice to see everyone." 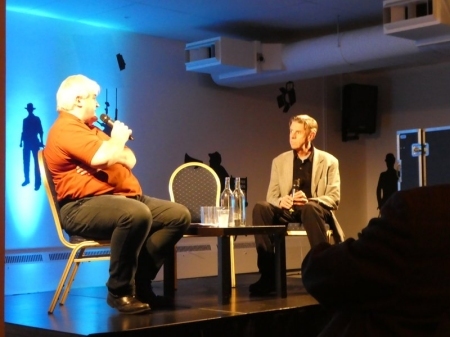 "A really good evening, very professionally run with good guest interviews. Only sorry that with a 2 hour train journey to get home I could not stay later. Thanks to all concerned for a very enjoyable event." "Thank you so much. Great event." "I have to congratulate you on putting together a splendid and memorable evening.... I thoroughly enjoyed it and it was well worth the journey." 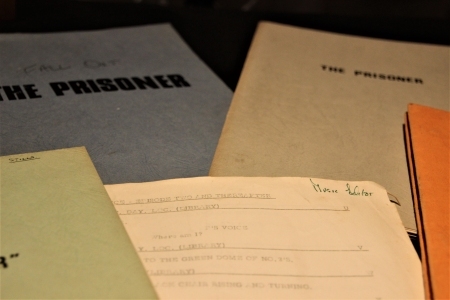 "Had a lovely time at The Prisoner 50th event at Elstree Studios. Thanks to Quoit Media and The Unmutual Website for organising, and all the guests for sharing their anecdotes and insights." Event organised by The Unmutual Website and Quoit Media Limited. Hosts: Rick Davy, Dave Jones. Sound and Lighting: P-F Productions. With thanks to Morris Bright MBE and Joely Hertz of Elstree Studios, Paul Welsh MBE, Nick Varley of Park Circus, Tim Beddows of Network Distributing, and Lee Keston of Ampersand (Elstree Events Management). Additional thanks: Steven Paul Davies, Sam Denham, Alex Fitch, Howard Foy, Leslie Glen, Cliff Harris, Alan Hayes, Alys Hayes, Crispin Hodges, Neil Jones, Dan Kreeger, David Lally, David Mackenzie, Glenies McCairns, Ion Mills, Steven Ricks, Keith Rodgerson, Frances Teehan. And last but not least, our wonderful special guests and their families; John Hough, Tony Sloman, John S Smith, Ian L Rakoff, Nick Briggs, Chris Rodley, Brian Gorman, Alex Cox, Terry Ackland-Snow. All video, audio, and imagery was shown with the full cooperation and clearance of the relevant copyright holders. The Prisoner is © ITV Global Entertainment Limited. In My Mind is © Network Distributing. 8mm filming of Arrival is © Rick Davy. Everyman is © Quoit Media Limited and Invisible Six. The Prisoner audio drama is © Big Finish Productions.